First, preheat your oven to 400°F. 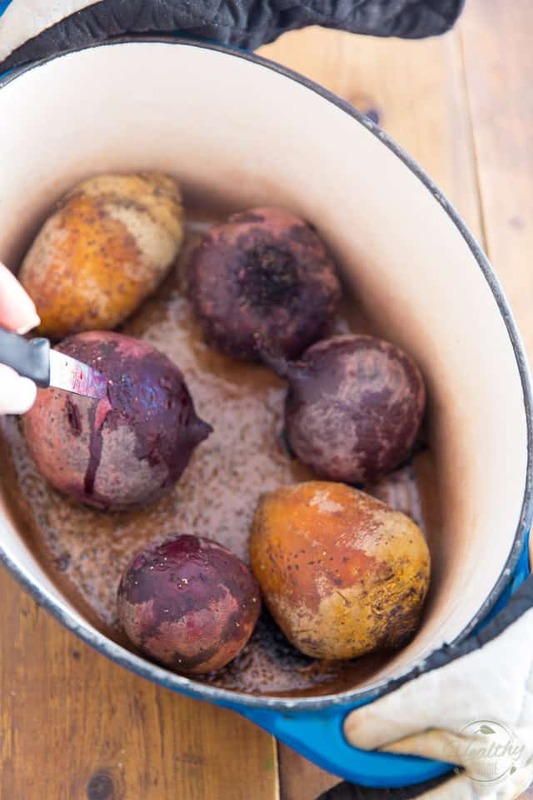 Wash the beets and then place them straight into a Dutch oven (if you didn’t have one of those, you could use some other oven safe container with a lid, such as a ceramic or heat resistant glass cooking pot), then drizzle them lightly with avocado oil and sprinkle them with salt and pepper. Put the lid on and place the pot on the middle rack of the oven for 60-90 minutes, or until the beets are tender. After 60 minutes, start checking for tenderness by carefully piercing one or several of the beets with a sharp knife; the larger beets will take a bit longer to fully cook than the smaller ones. 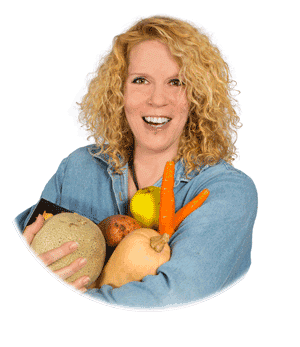 Once cooked to your satisfaction, remove the beets from the oven and let them cool in the pot, covered, until they are cool enough to handle safely with your bare hands, but don’t let them get too cold; warm beets are easier to peel. Once the beets have cooled enough to be handled safely, simply rub them with your fingers to slip the skins off, preferably under running water; this simple precaution will help save your fingers from turning all kinds of pink! Beets are super easy to peel like this, but inevitably, you’ll run into the odd stubborn bit; use a paring knife to get rid of those, as needed. 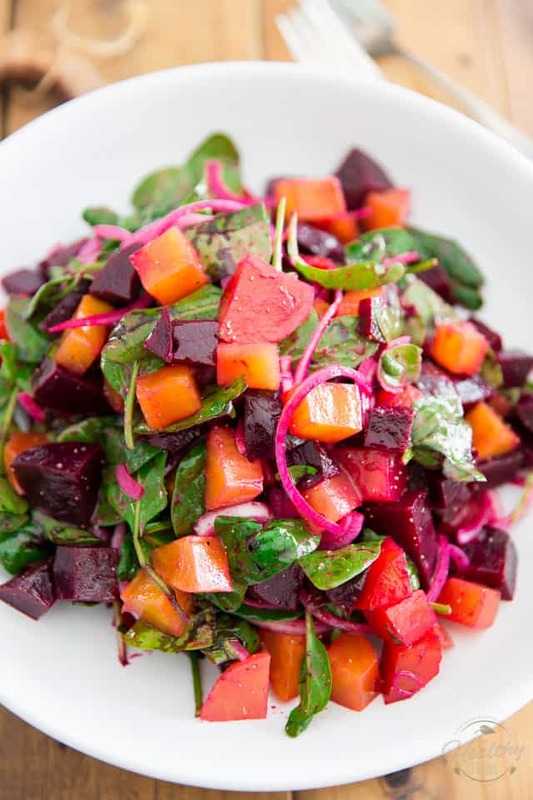 Feel free to proceed right away if you don’t have time to let them cool or don’t mind warm beets in a salad! 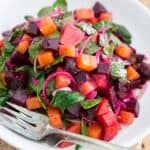 Simply place the [preferably chilled] cubed beets in a large mixing bowl, along with the baby spinach leaves and sliced white onion. 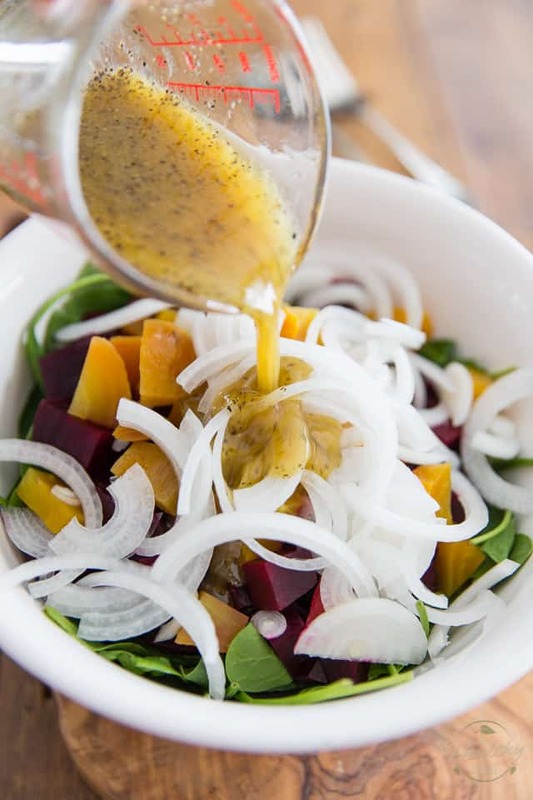 Then, make a very simple vinaigrette by combining some evoo, maple syrup, Dijon mustard, ACV, salt and pepper in a small glass measuring cup; whisk vigorously until well combined and slightly emulsified and immediately pour it over the salad. 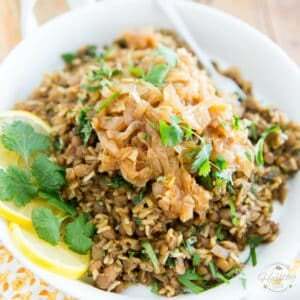 Give your salad a gentle toss and serve it immediately, garnished with a handful of roasted pumpkin seeds if desired. 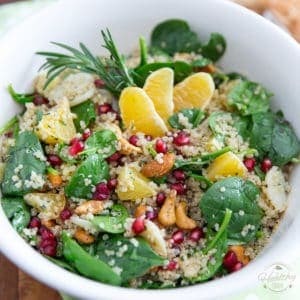 I used pumpkin seeds because they are my favorite snack right now and I tend to put them on absolutely everything lately, but any other kind of seeds and/or nuts would work just as good! 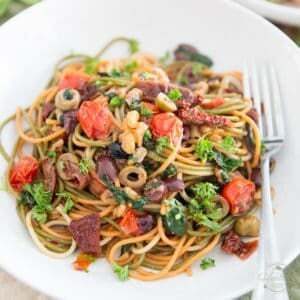 This salad will keep in the fridge for a couple of days, but some wilting is to be expected. For that reason, I recommend assembling it at the last minute, although the beets can totally be dealt with several days in advance! 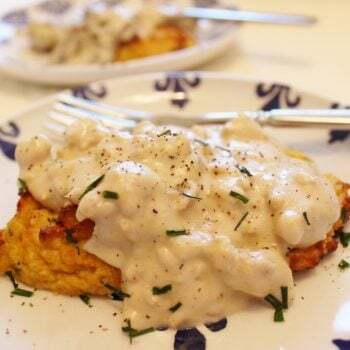 Also, it might be a good idea to take any potential leftovers it out of the fridge a few minutes prior to eating it, to allow the olive oil to get back to its normal, more palatable, fluid state. Don't redecorate the kitchen or waste another piece of foil to cook your beets! 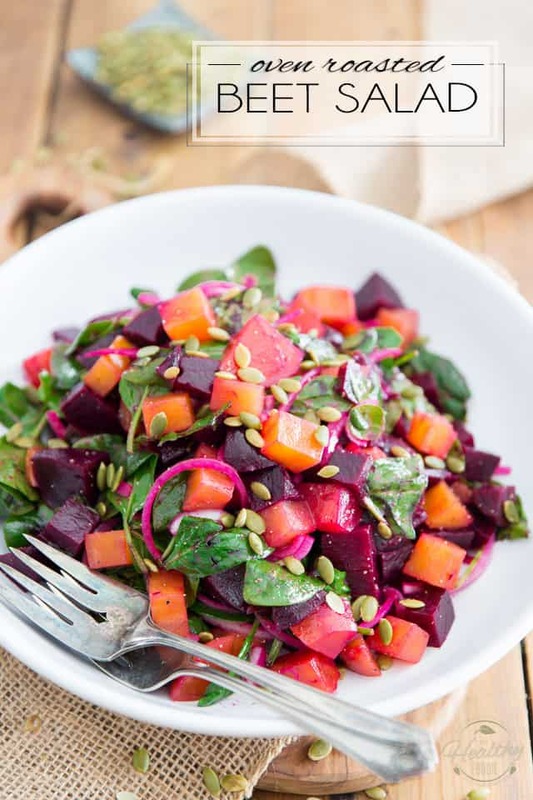 Simply throw them whole in a Dutch oven, to concentrate and seal in their sweet and earthy flavor, then easily turn them into this nutrition-packed, scrumptious Oven Roasted Beet Salad! Preheat the oven to 400°F. 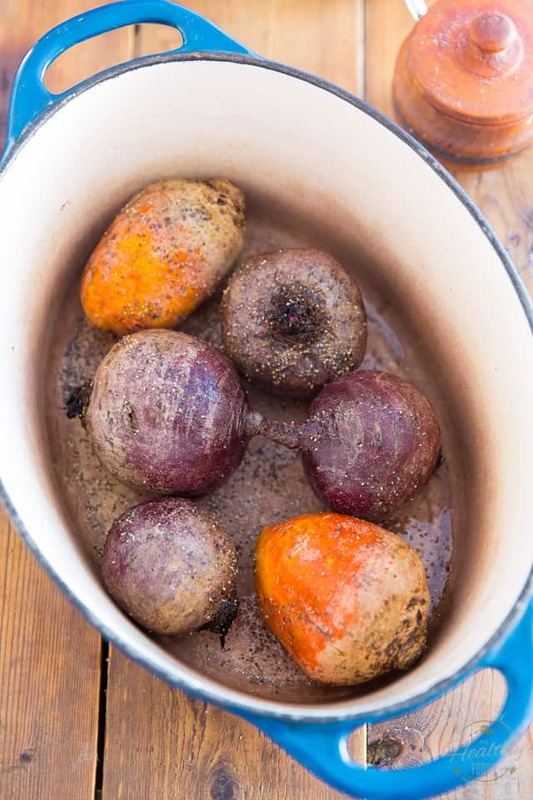 Wash the beets and place them into a Dutch oven (or other oven safe container with a lid, such as a ceramic or heat resistant glass cooking pot). Drizzle the beets with avocado oil and sprinkle them with salt and pepper. Put the lid on and place the pot on the middle rack of the oven for 60-90 minutes, or until the beets are tender. Start testing for tenderness after 60 minutes by carefully piercing one or several of the beets with a sharp knife; the larger the beets, the longer they will take to fully cook. 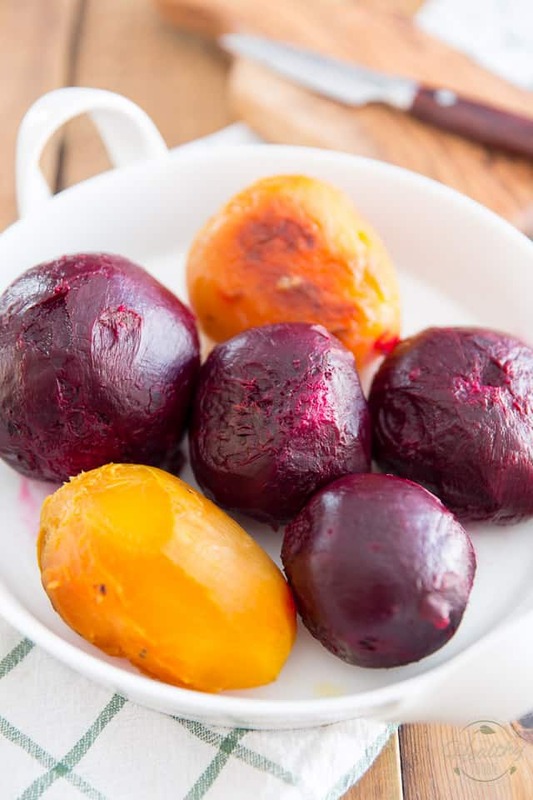 Remove the cooked beets from the oven and let them cool in the pot, covered, until they are cool enough to handle, but don't let them get too cold; warm beets are easier to peel. Once the beets are cool enough to handle safely, simply rub them with your fingers to slip the skins off, preferably under running water; this will help prevent your fingers from turning all kinds of pink! 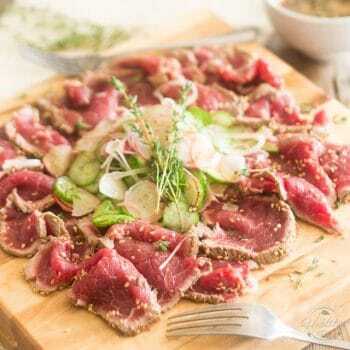 Use a paring knife to get rid of any stubborn bits, as needed. Cut the peeled beets into bite size cubes and, preferably, let them cool completely. 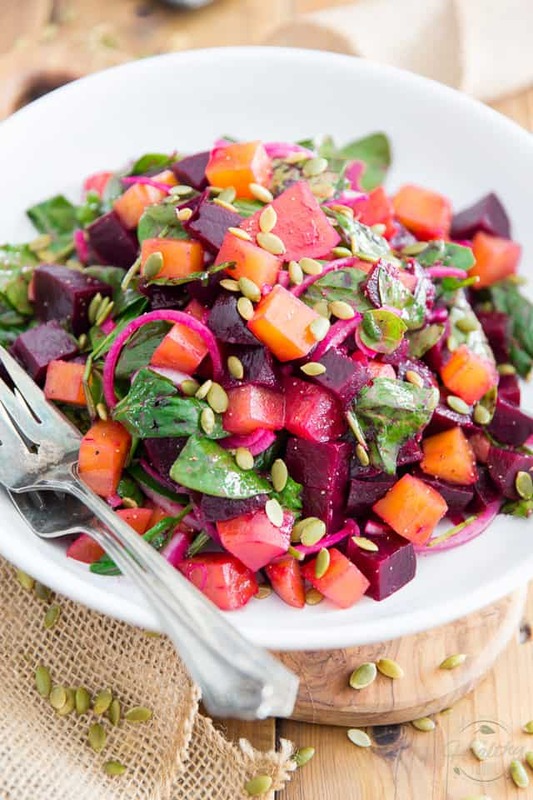 Place the cubed beets in a large mixing bowl, along with the baby spinach leaves and sliced onion. 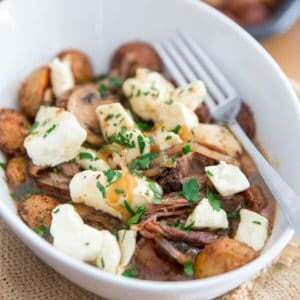 Combine the ingredients for the vinaigrette in a small glass measuring cup and whisk vigorously until well combined and slightly emulsified. Pour over the salad and toss delicately. 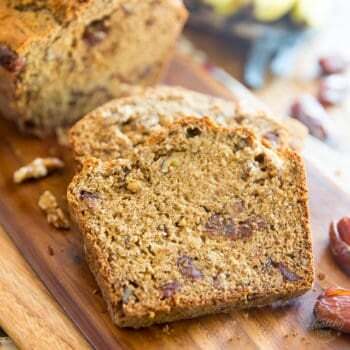 Serve immediately, garnished with a handful of roasted pumpkin seeds if desired. 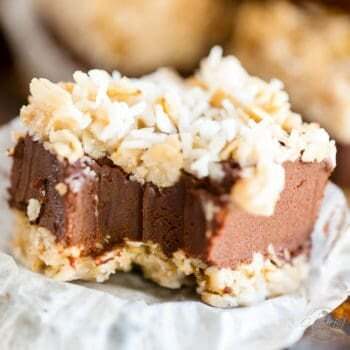 You are equally skilled at these beautiful plant based recipes as you are at paleo, whole 30, and decadent baked goods. These beets look delicious! I always get bored with winter vegetables and this looks like a great change of pace. Yum! This sounds easy and delicious. I don’t know how you keep coming up with these great recipes after all these years. I think I might add feta.